These four photographs show Missouri Pacific Railroad workers in Horace, Kansas, in the first two decades of the 20th Century. 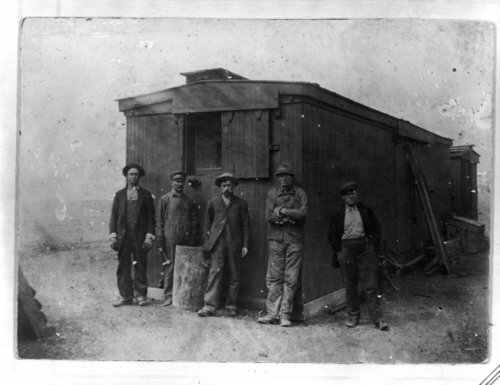 Photo *14 shows three men standing beside a building in front of the written words "BRC of A, Horace, Kansas." The writing likely refers to the Brotherhood of Railway Carmen of America, a union of railroad workers to which they may have belonged. This photo also lists the names of three men: Verd Gareson, Allen Drecker, and Ed Hiere(?). The third name is crossed out.